I'm looking for FDC(overs) of the stamps of the personalized sheets UN New York from S2 to S36 exept S19. Preferred are official UN covers and stamps with tabs. NY (Scott #C11a) 15¢ Air Mail stamp with gray omitted. 1960 World Refugee Year advertising slogan cancels from any and all countries, all varieties but NO philatelic or first day covers. IRC Switzerland with special postmarks during Geneva UN conferences etc. International and Regional Reply Coupons worldwide non-UN related 1907-today. I am looking for missing and misregistered marginal imprints (including the UN seal) on Bundesdruckerie-printed 25c UN definitives - mint, used, on cover. Philatelic items sent from the UN sponsored peace negotiations on Rhodes Island in 1949. Philatelic items sent from the November 1956 Emergency Sessions. Would like to get all varieties of FDC's for the 1981 IYDP Stamp from UN - Any WFUNA cacheted FDC's??? Seeks selected UN-NY 1955-1990 and Geneva 1970-1990: Can offer various British Commonwealth (BIOT, Pitcairn, BAT, others), Israel, Cuba, Kosovo and others in exchange. NY S6 2005 Personalized Sheet #880-84 with ERROR. UNTAET (Timor): I am wanting to buy any postally used envelopes, covers or cards with one or both of the UNTAET stamps issued on April 29th, 2000. Associated materials, press announcements, etc. Full Want Ad with images. United Nations Scott 102-103 Full Sheets, Errors, Color Shifts, Commercial Usages. Egypt, India, Philippines, Washington D.C.
Cancels, meters, cachets, imprints, registry labels, etc. for Conferences and Meetings of the UN, its Agencies, and its Predecessors. 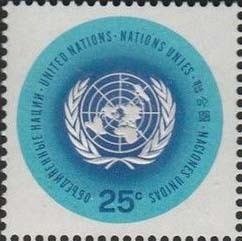 FDCs of stamps honoring Conferences and Meetings of the UN, its Agencies, and its Predecessors. Origin cachets of Offices of the UN, its Agencies, and its Predecessors. Receiving Marks and Dispatching Marks of Offices of the UN, its Agencies, and its Predecessors. Need odds & ends: Netherlands 015, Swiss officials: 3018a,3021a,3027,3038-3046, 3038a-3046a,3048,404,7016,9017,9018,9019,10016,10017,10018: M or U. Collection sheets if available. Registered letter with French special postmark and special registered label of Versailles peace conference 1919. Registered letter with French special postmark and special registered label of St.Germain en Laye peace conference 1919. Other delegate letters of Paris peace conference 1919. Delegate letter or postcard of Genoa conference 1922 with special postmark. Special cover / registered letter of London Monetary and Economic conference 1933. Fieldpost-Letter of the Netherlands troops in Saar 1935. League of Nation Missions "Commission in Bogota" (Letitia-Zipfel) and "Sandjak D'Alexandrette". United Nations Conference San Francisco 1945. Special conference cover from a delegation. ILO/BIT letter with the special Polish postmark of meeting in Warsaw 1928. ILO/BIT service cover registered with Belgian postmark and postage stamps of meeting in Brussels 1930. ILO/BIT service cover with Spanish special postmark of meeting in Madrid 1932. ILO/BIT service letter with British special postmark of London meeting 1938. ILO/BIT service letters of International Labor Conference in Geneva up to 1939. List of items that you are looking for. Link to a full view of your want list with images.